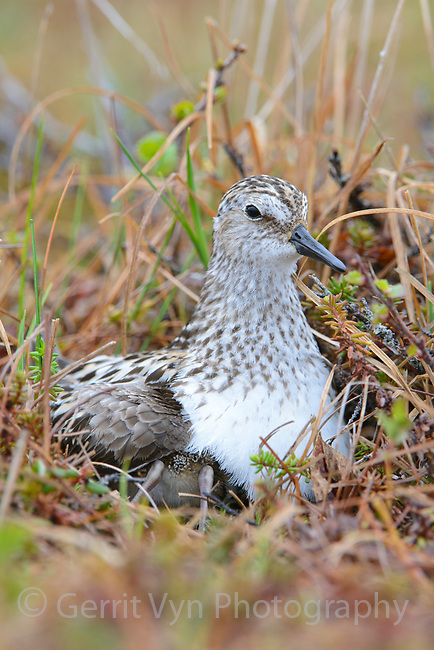 Semipalmated Sandpiper (Calidirs pusilla) brooding newly hatched chicks on the nest. Yukon Delta National Wildlife Refuge. June.